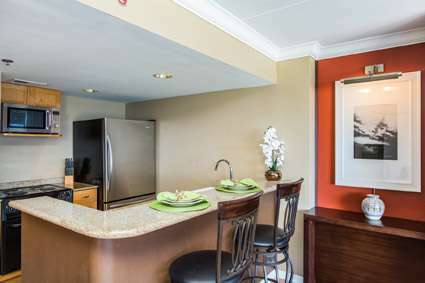 This great condo now has all granite tile entry/kitchen/bath and wood floors in living and bed area so keeping the condo clean is a breeze. 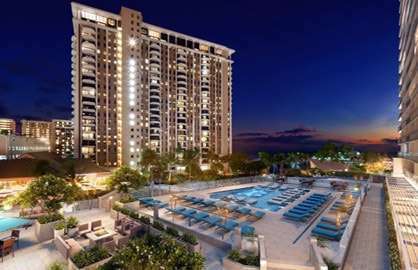 Ilikai 1714 - This condo is amazing! 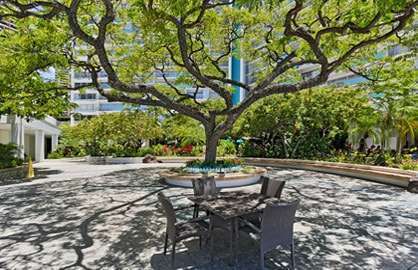 The view from the balcony is beautiful, the condo is very spacious, the beds are very comfortable, and everything we needed was within walking distance or a short bus trip away (the stop is right outside the hotel). We stayed for 6 days, but would definitely love to stay longer next time! Thank you so much for this beautiful place to stay, which helped make our vacation even better than expected!! Ilikai 1714 - We stayed a month last year what a fabulous spot. Primo would stay there again in a heartbeat. 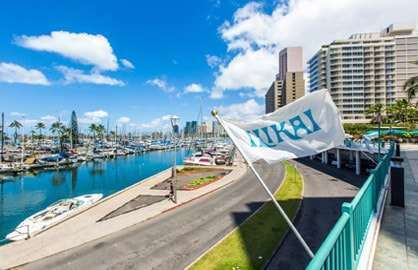 Ilikai 1714 - Fabulous location - everything was perfect - this is our second visit & we wouldn't hesitate to stay again or recommend to friends. Mahalo. We found room #1714 to be a brilliant base for our family holiday. 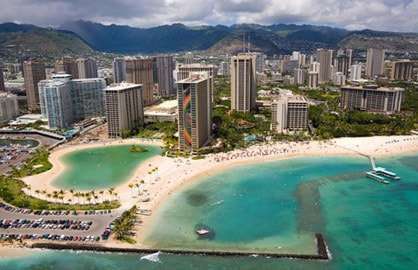 The location is far enough out of Waikiki to keep us away from the hustle and Bustle of the main stream partying, while leaving us a nice beach stroll from the best restaurants. 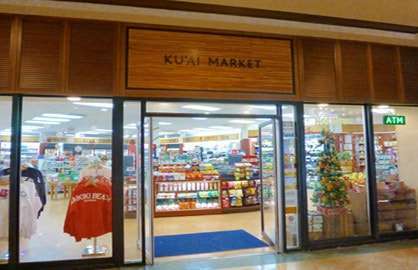 The Pink Line and - the bus - stopped outside the front entrance, and we were only a short walk to Ala Moana shopping area and Walmart. The room had everything we needed including a well used WiFi, with teenage kids it's a must. 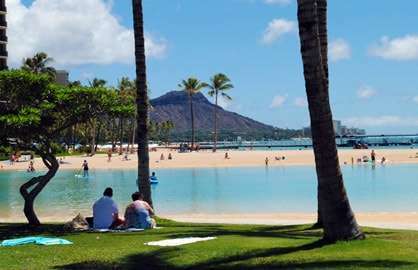 The view over the Ocean, Lagoon and Hilton complex (including the Luau) was better than we expected. And the spacious balcony was well utilized. We came as a group booking 5 rooms in total. On 3 different levels, and different outlooks. Don't be fooled be the external looks, as the internals have been updated and all the rooms were exceptional value for money. Highly recommend to all we know. If your like me and really doing your homework looking for the perfect room then look no more. 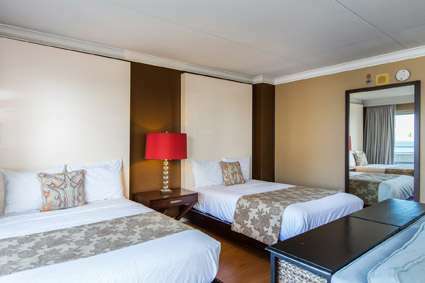 This is the perfect room - Ilikai 1714. The view was awesome. Even got a free show from our balcony at a Luau that takes place right downstairs across the street. We spent so many mornings on the balcony. 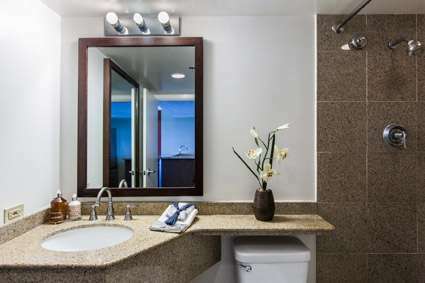 The room is so modern and clean and spacious and the kitchen and bath are very nice. 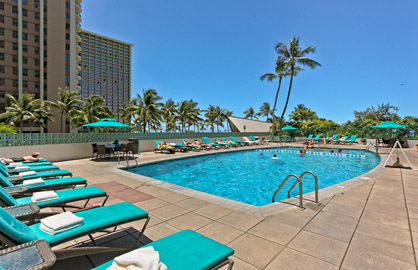 I decided to extend my stay in Hawaii and had to check out and I felt so spoiled I didn't like anywhere else I booked. The beds were very comfortable. The parking was expensive so we just found alternate parking on the street wherever we could. 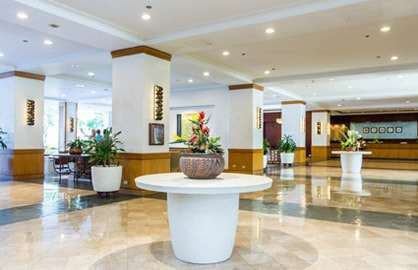 You'll be disappointed if you stay anywhere else! Happy Travels everyone. Awesome view of the ocean and lagoons. 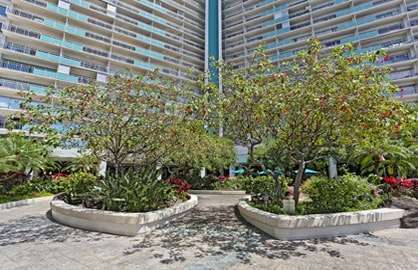 Ilikai condo 1714 is in great shape and very well appointed. We found all that we needed and were within walking distance to just about everything. 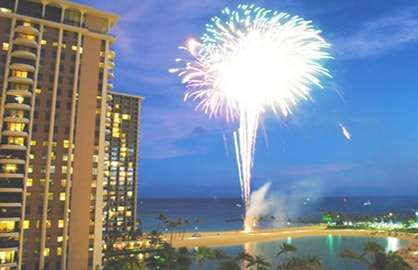 We loved sitting on the lanai and watching the fireworks on Tues night and the stars and sounds of Hawaii. 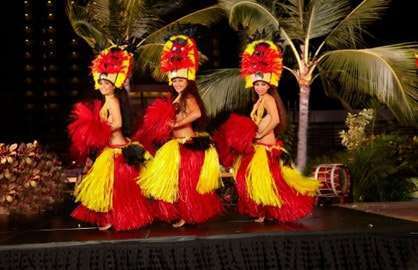 Take binoculars and enjoy the hula show next door. 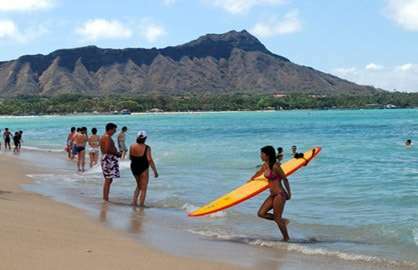 I would definetely stay again next time I'm in Hawaii. 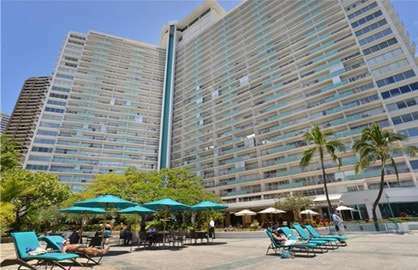 PS the parking next door is $20 per night and no start-up fee and you walk directly to the condo through the pool area. Ilikai 1714. Great, Wonderful views. This is our second visit, would definitely stay again. 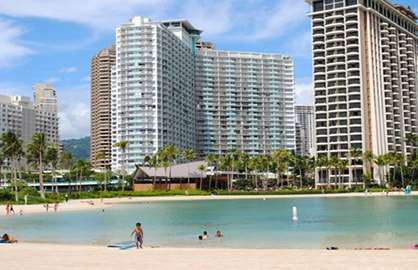 What a great place to stay while in Waikiki. I will recommend it to everyone. 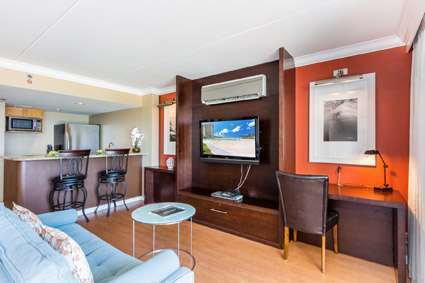 The room was very comfortable and well kept, - it felt like home as soon as we arrived. And the view was magic. It was so easy to book. We had a great time and we will be back. 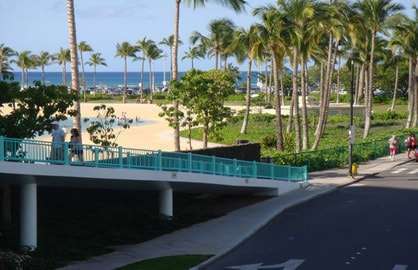 We have just spent a wonderful week at the Ilikai Hotel in unit 1714. 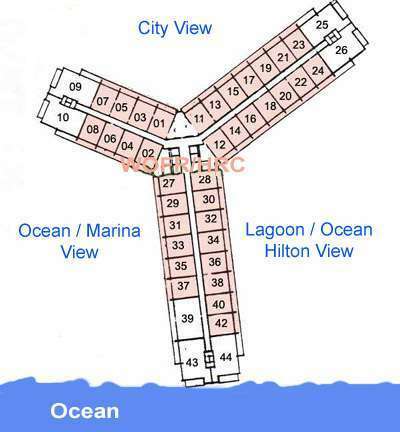 The condo was very clean and well equipped with a beautiful view of the ocean and lagoon. We enjoyed whale watching and the Friday night fireworks from the large balcony. The beds were comfortable and there were plenty of towels, beach towels, and two lawn chairs to use at the beach or park. 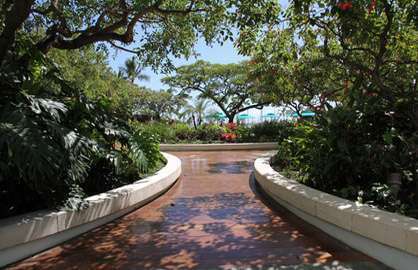 The hotel grounds were beautiful and well-kept. We had rented a car for the week but could walk or take the bus just about everywhere. Thank you for allowing us a late checkout when our flight times were changed. 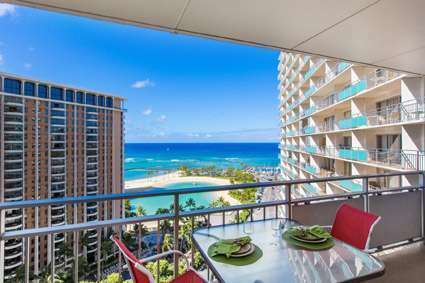 We would definitely choose the Ilikai and Waikiki Oceanfront Rentals for any future trips to Honolulu. 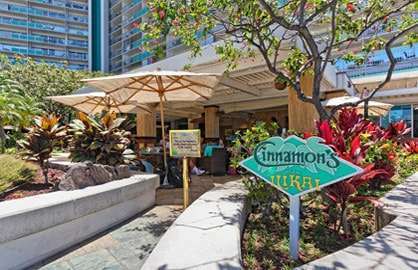 We also wish to extend our thanks to the Mr. Becker, the staff at Waikiki Ocean Front Rentals, and to the fine folks at the Ilikai. This was one of our best vacations ever and we look forward to returning to Hawaii soon. 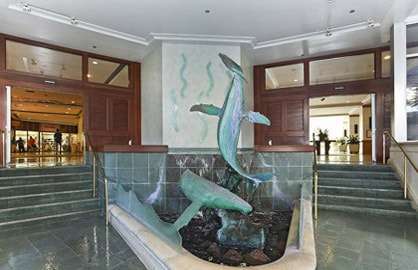 Again, mahalo for the opportunity to experience Oahu while using your awesome condo as our "home base." 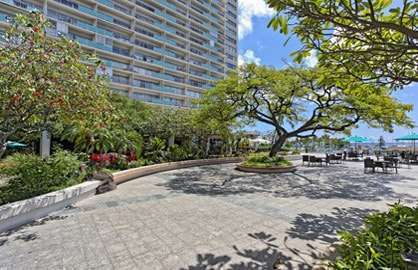 I would just like to thank you for your excellent service and quality Apartment during our stay at the llikai towers everything was within walking distance great pool area beautiful coffee shop downstairs and friendly helpful staff .The room was clean and tidy with everything as per the website .I would not hesitate in recommending WaikikiBeachRentals to anyone , a fantastic holiday with no hassles. We had a wonderful time , everything was perfect. we want to thank you for the late check out, it made everything so much easier for our last day. the condo was beautiful and hawaii was amazing. We would stay with you again for sure. I would like to take a few moments to write of our recent experience with unit 1714.The unit was very clean, and was recently renovated. The beds were comfortable,and the linens were of a high quality. Although we could have parked nearby for a lesser cost, we opted for the valet parking because of convenience. All in all, I would recommend this rental to anyone, and would return again. Thank you for your excellent communication, as well.